Hello, and thank you for participating in this survey. The purpose of this survey is to gather information about the local community cable programming and media services provided by LMCTV (Larchmont-Mamaroneck Community Television). 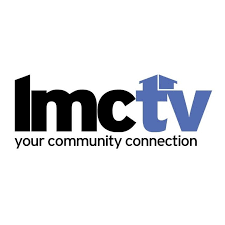 The information gathered will help to determine if the existing local cable programming/media services provided by LMCTV are adequate and appropriate, and identify changes that might be made to meet current and future needs and interest of residents, community groups, educational institutions, businesses and local government. It takes approximately 15 minutes for most people to complete the survey. Your responses will be combined with others, and the summary data will provide useful information for future planning purposes. If you fill out this online survey, you’ll have a chance to win an appreciation gift! If you include your name and contact information at the end of this survey, your name will be included in a drawing for a chance to win a $100 Amazon gift card! (Two of these gift cards will be awarded.) The drawing will be held after this online survey closes on May 6, 2019. Winners will be notified by email or telephone. You must be 18 years of age or older to participate in the drawing. Thank you, in advance, for your participation in this survey. * Do you currently subscribe to a cable TV service in the Village of Larchmont or Mamaroneck, or the Town of Mamaroneck?